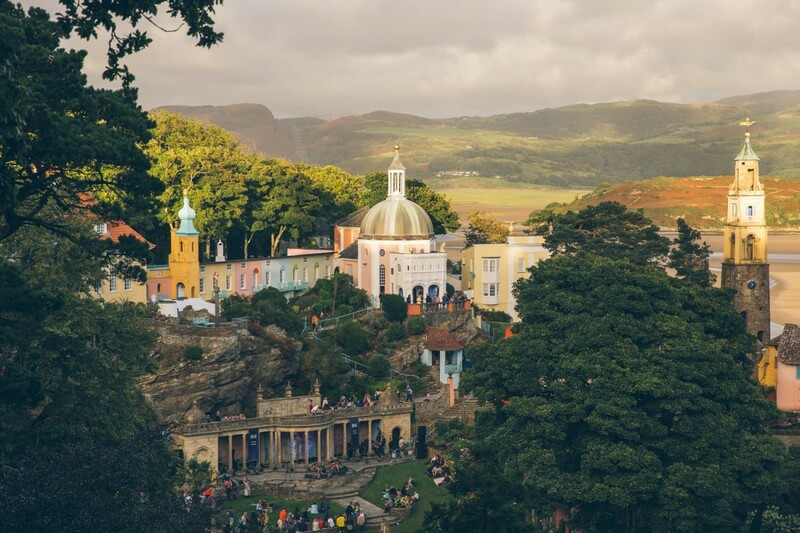 Festival Number 6 2016 will forever be known as the apocalyptic mud bath and park & ride disaster, Getintothis’ Peter Guy and Adam Lowerson reflect on their Portmeirion adventure. 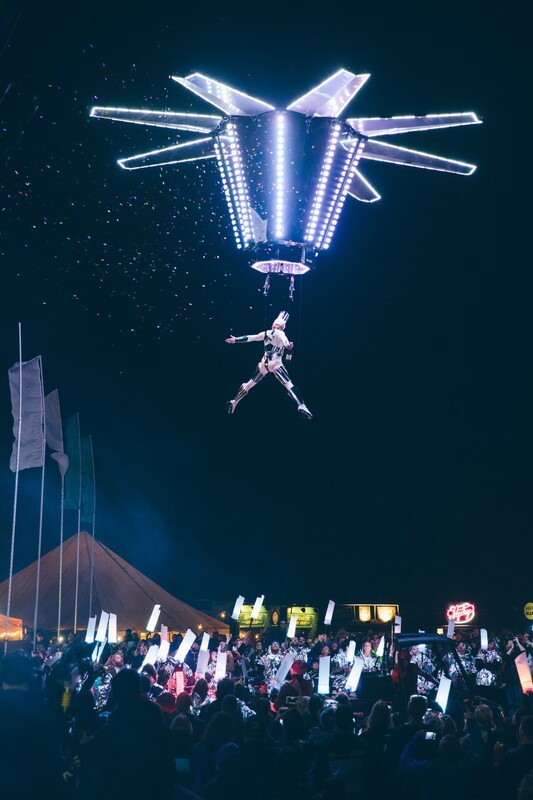 The year 2005 has gone down in Glastonbury folklore – but for all the wrong reasons. Performances being cancelled left, right and centre, tents fully submerged under water and people travelling around the campsites by canoe. 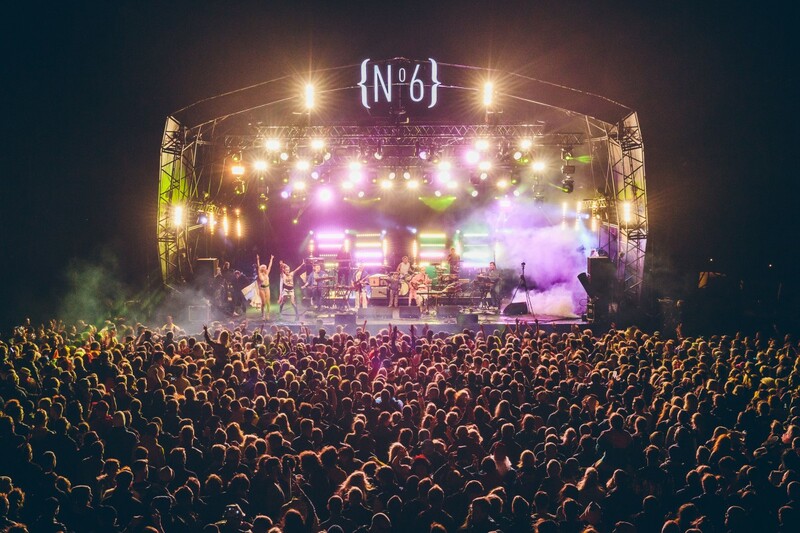 Now going off some of the social media reaction following this year’s Festival No 6, you could be forgiven for thinking that the conditions at this weekend’s event were comparable to that of the now infamous debacle at Pilton Farm in Somerset. 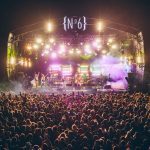 Festival No 6 2016 will no doubt go down in the festival’s history with a certain level of infamy due to the weather, and rightly so. 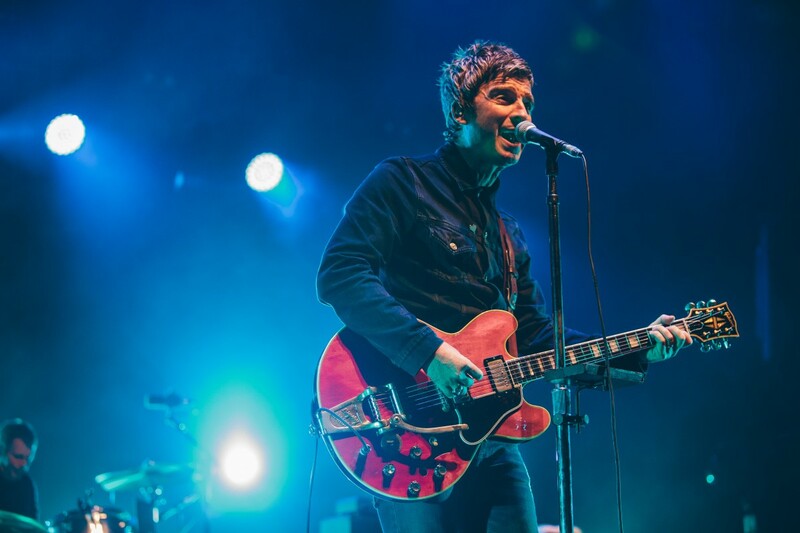 The relentless downpour of rain on the Saturday left the main arena churned up into a thick muddy sludge which was near impossible to walk across with any purpose, and the fiasco surrounding the park and ride has rightly left hundreds of punters furious with the organisers. Cars had to be towed out of the flooded field by tractors, many had to stay over night on a leisure centre floor as the Red Cross were drafted in to assist all the while a number of vehicles were damaged by the conditions and the heavy diggers and land-rovers used to pull them clear. 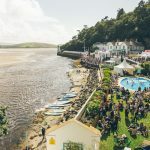 It seemed poorly planned considering the weather warnings had come a week in advance, and talk from the environment agency was that the festival organisers were warned, should it rain heavily – the park and ride will flood – the entire parking situation was an unequivocal shambles. Yet there was a silver lining. 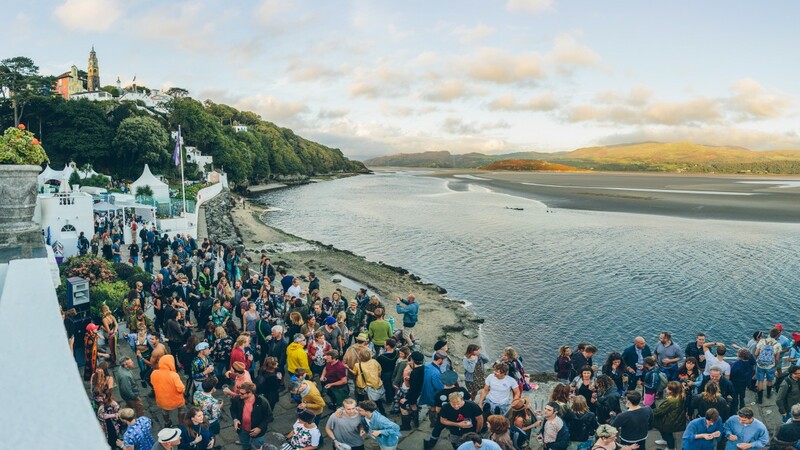 The conditions in the main arena, where the general festival punters usually spend the majority of their time, pushed the crowds away from main stage and into Portmeirion village, the central piazza and waterfront. 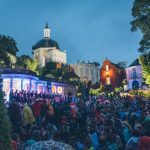 Here you could take shelter in the town hall, grand dome, or in one of the numerous cosy cafes, where live pianists played gentle background music before drunken revellers took the hot seat and bashed out a few bangers. 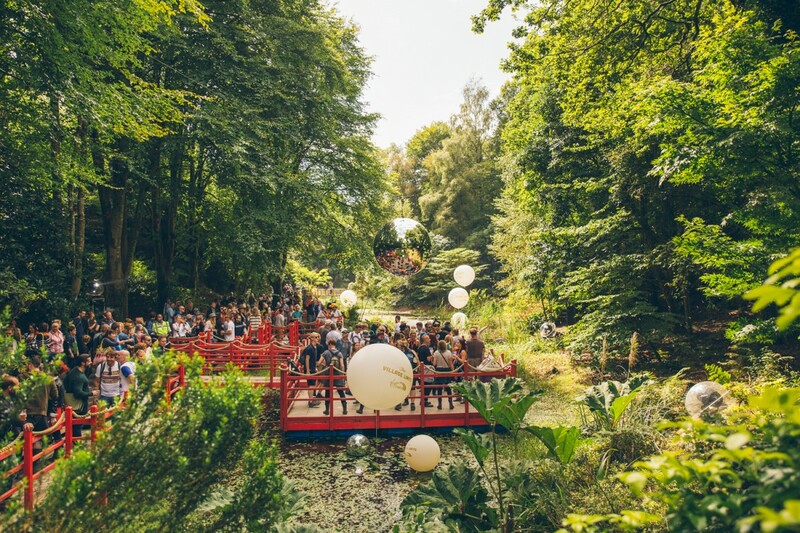 It’s here, away from the big stages and food stalls, where Festival No 6 really comes to life. 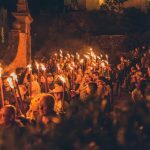 It describes itself as a festival like no other, and rightly so. 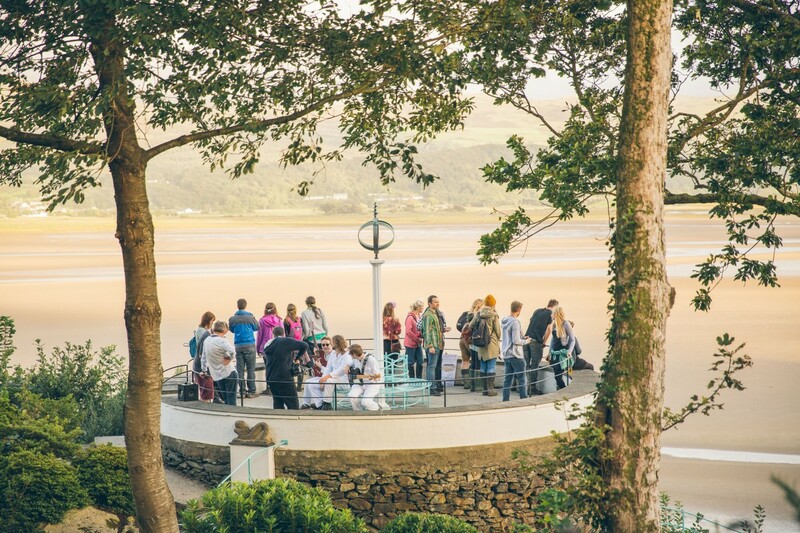 There is genuinely nowhere in the world quite like Portmeirion. 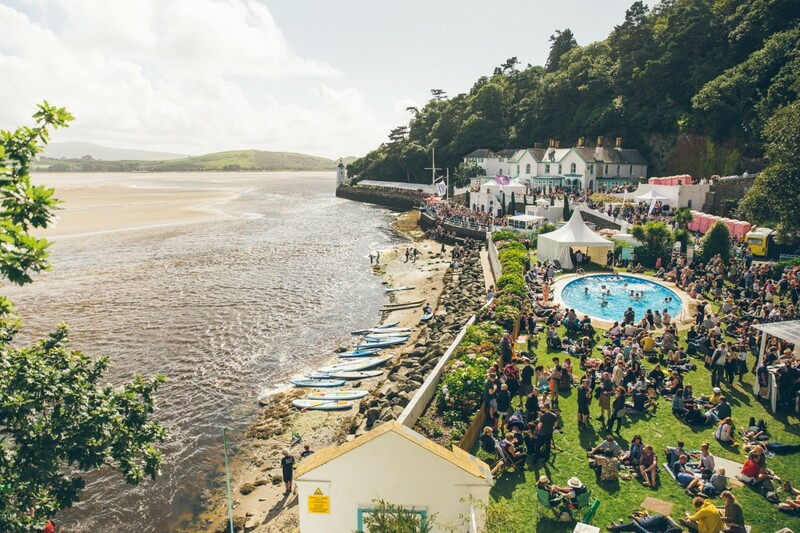 With it’s multi-coloured, Italianate architecture, quirky alcoves and walkways every way you turn and the stunning views from the seafront Stoneboat stage, the beauty of Festival No 6 is in its setting – and it’s here where many of our highlights took place. 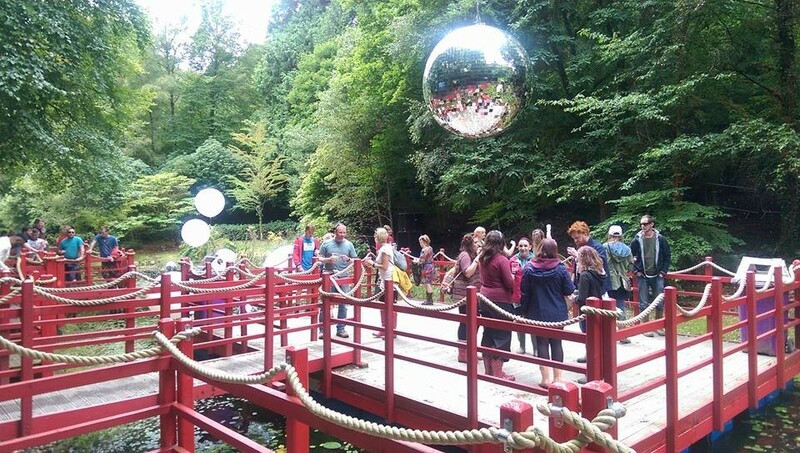 Friday, and before the apocalyptic downpour of Saturday began to loom, the Low Life DJs warmed the weekend up with disco grooves in the sunshine before Henry Greenwood tested our sea legs, spinning 80s pop on the floating dance floor up in the woods. It’d be so easy to get lost and spend your entire weekend in this area. 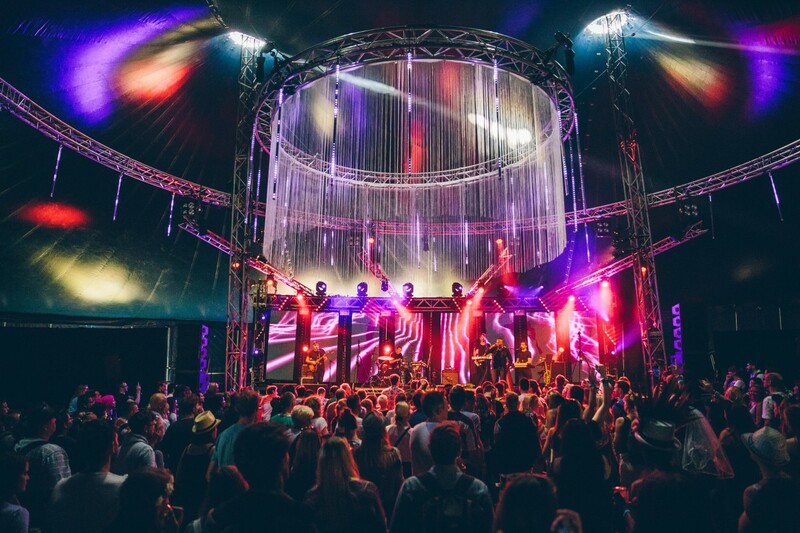 Whether you’re just wandering around admiring the nature, enjoying a daytime rave to some cosmic disco at the Dugout or catching some of the strongest line up of the weekend at the Lost in the Woods stage, it’s certainly our area of the festival. 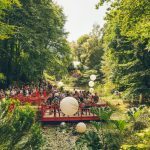 Deeper into the forest on the Lost in the Woods stage curated by PRS for Music, Younghusband, The Magnetic North and Bill Ryder-Jones provided our live highlights of day one with three solid sets. Ryder-Jones, who debuted two new tracks in Board Games and Bozo Says It Better, was on incredible form, performing one of the sets of the weekend. The Wirral songwriter has got a number of crowd favourites up his sleeve now, and the likes of Wild Roses, Satellites and Two To Birkenhead, all from his latest LP West Kirby County Primary, all go down a storm. It’s absolutely perfect from start to finish and showed how Ryder-Jones is one of the best songwriters around. If anyone’s music was a match for the days weather, it was EAGULLS and their 80s inspired goth gloom. 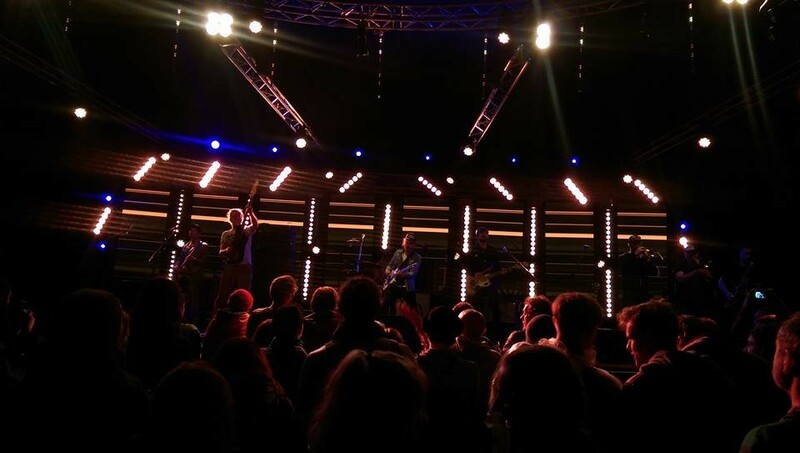 With chiming guitars weaving around crashing beats and sneered vocals, they were a stark contrast to the warm, folk sounds of Shoebox Orchestra over on the Clough Stage. With intricately picked guitar backed up with sweeping strings, the trio made a big impression and took our minds off the rain for a while. 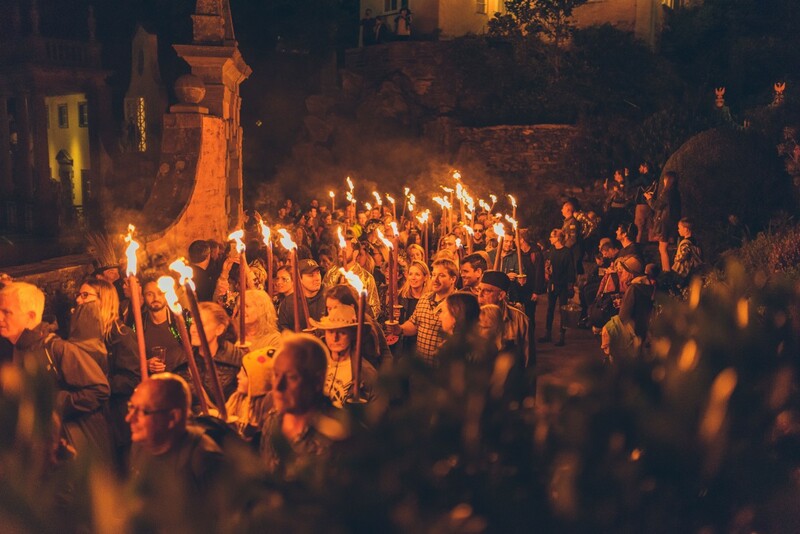 Heading back up through the village, a huge crowd gathered to watch in awe at the Brythoniaid Male Voice Choir, who sang stunning arrangements of You’ll Never Walk Alone, New Order‘s Blue Monday and a rousing rendition of the Welsh National Anthem. 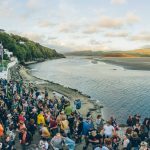 It’s easy to see why this is becoming one of the most talked about aspects of every year, and is a great example of just how much the festival really celebrates Welsh pride and culture. It’s genuinely heartwarming to see. While the likes of Bastille and Kaiser Chiefs (no thanks) performed over on the main stage, the real gems of Friday night were taking place in the Gatehouse, where Jane Weaver performed Fellella, a live-scoring of a hypnotic cartoon, before DJ Yoda pumped out huge beats and great tunes atop some classic Sci-fi clips. 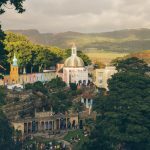 A big strength of Festival No 6 is how well it showcases new music, giving emerging artists the chance to perform in some unique spaces. This is in no small part down to the Tim Peaks Diner, curated by Tim Burgess, situated up a steep staircase in the ornate grand dome. 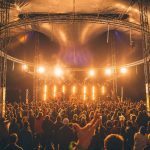 It’s absolutely packed all weekend, and the likes of Cabbage, Natalie McCool and Tear, whose grunge pop really impresses, are given the privilege of performing to intimate yet energetic crowds. Saturday was similar in that much of the best action took place away from the main stage, with the wet weather leading us into the tents and ornate buildings, where we discovered a new found love for punk poetry with Luke Wright, along with musical delights from the Sundowners, who continued their rise to being one of the most consistently great live acts on the circuit with a belting set in the Clough Stage, before Klaus Johann Grobe brought his melodic brand of garage-y Krautrock. A Certain Ratio followed over at the Grand Pavillion, and had everyone two-stepping in the sludge to their hugely danceable choppy disco inspired funk. The weather did eventually die down, yet for many punters it seems it had been enough, with the main stage crowds suffering as a result. There was a good crowd in attendance though to witness the visual spectacle that was the Kazimier‘s Kronos show, with some nail biting acrobatics in the wind as Captain Kronos hung from his spaceship way above the audience. Fair play to him, it looked absolutely terrifying. Roisin Murphy braved the elements, complete with an umbrella, to power through a set of glittering electro-pop, finishing off with her Moloko hit Sing It Back, making for the perfect warm up for the Saturday night headliners Hot Chip. Again, they perhaps didn’t perform to a crowd as big as they deserved, but they duly delivered and had us dancing as much as the ankle deep mud would allow. Imagine dancing on the moon. It was like that. 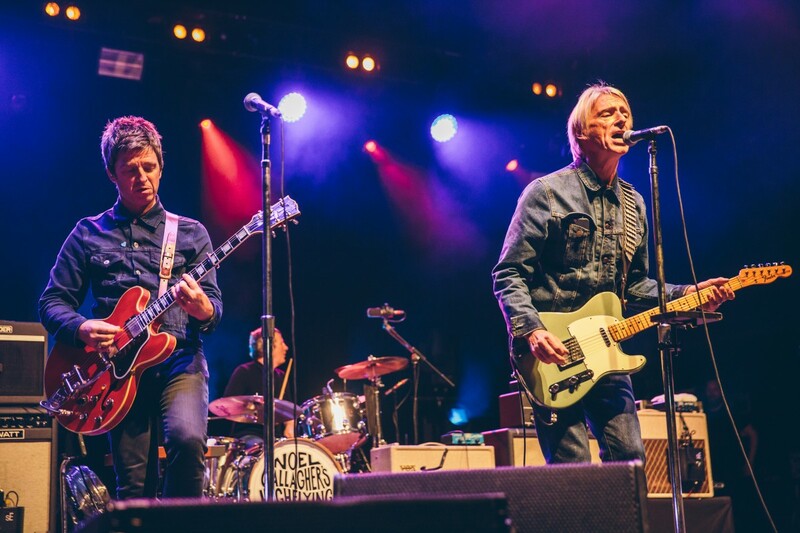 They feel like the perfect Saturday night festival headliners, and pulled it off perfectly despite the howling winds that were starting to build up. 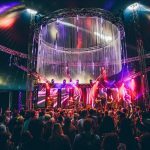 With a back catalogue packed with tracks such as Ready for the Floor, Over and Over and Huarache Lights, they whip up a frenzied indie disco with ease. It’s crazy that they’re only now becoming a headline size act. Almost as important as the music at these days is the food, and Festival No 6 really doesn’t disappoint in this department. The general rule with festival food is, if you buy it from a van with ‘Gourmet’ in the name, it’s probably going to give you diarrhoea. There’s no danger of that here though, with not a greasy burger van in site, and instead a lot of different options from Kanye Western flavoured mac and cheese (highly recommended) and fresh falafel wraps to homemade ice cream. You definitely aren’t going to go hungry. 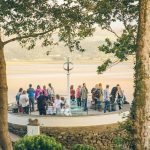 Many took the opportunity early on Sunday to recover in one of Portmeirion’s welcoming cafes, or packing the stuff up in the car ready for a swift exit as the warning signs around the park and ride began to show. 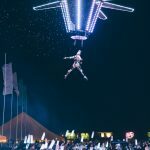 Those that did stay were treated to some golden moments at various junctures around the festival site – particularly those in dryer conditions. 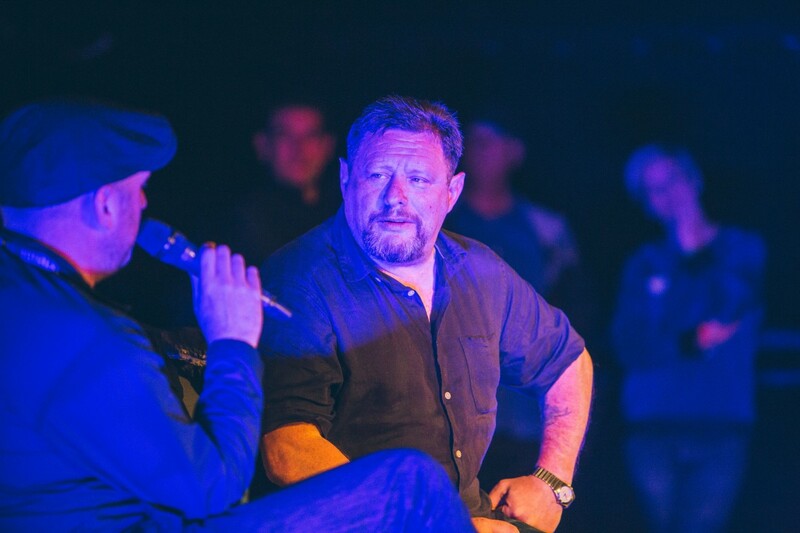 The Stone Boat once again proving it’s worth as a large crowd gathered and grooved away to Andrew Weatherall once again as he proved the Marathon Man of the weekend performing an eight hour set which rarely let up. 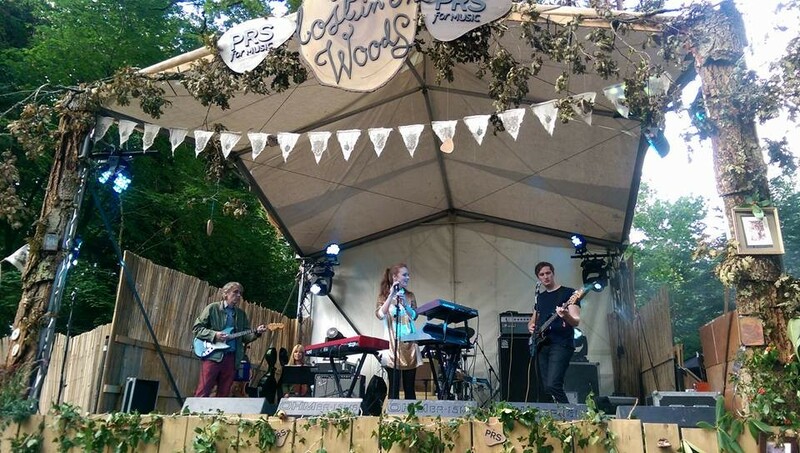 Meanwhile, the Woods Stage was turning a crisp shade of green once again and Crazy P threatened to pull off the funnest set of the weekend with Chic-influenced disco-house-funk which saw a huge throng move as one. They really were quite something. Similarly, Beyond The Wizards Sleeve made sure any signs of weariness were forgotten with a psychosis-inducing tear up on Heavenly Social‘s wheels of steel down the Estuary Stage. 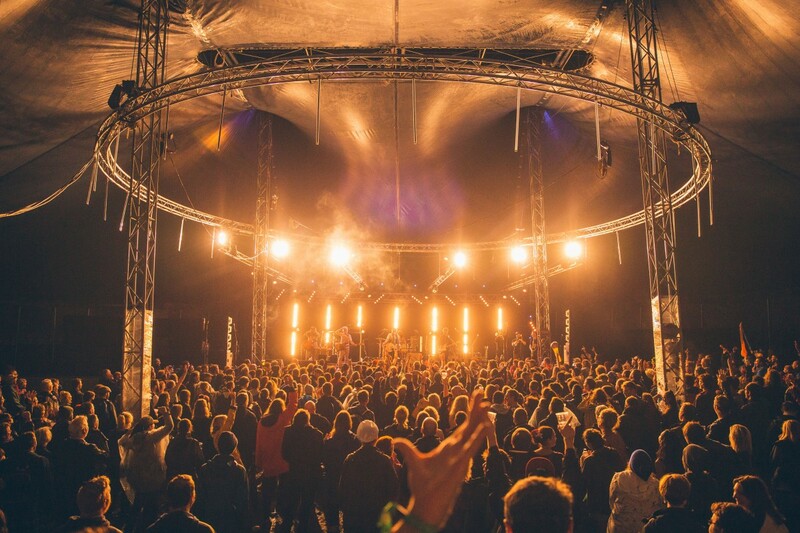 As the crowds eventually gathered at the main stage though, the big hitters of the weekend really didn’t disappoint. Bowie Reimagined, a tribute to the late David Bowie by the Manchester Camerata orchestra featuring Jacqui Abbott, Nadine Shah, Charlotte Church and Jane Weaver saw stunning re-workings of the Thin White Duke’s biggest hits, before Sunday’s special guests Super Furry Animals performed what could have been the set of the weekend. Speaking entirely in the native language throughout, much to the delight of the Welsh crowd, Gruff Rhys was completely in his element and sounded as good as he has in years. 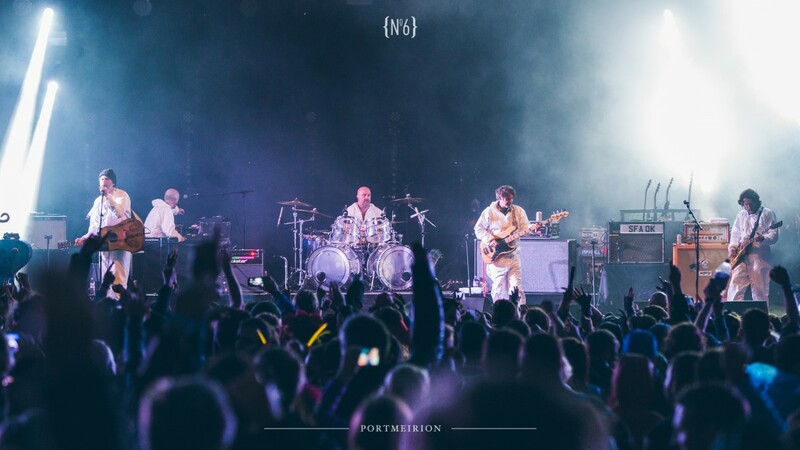 With a few lesser performed tracks such as Mountain People, Receptacle for the Respectable and Pan Ddaw’r Wawr, the Furries cemented their status as one of Wales’ finest exports. It was an hour which illustrated the Welsh pride that was on show across the whole weekend. Bing Bong, their almost silly unofficial Wales Euro 2016 anthem was an unexpected highlight, with Rhys singing from within his trademark Power Ranger helmet. They’re a band that clearly don’t take themselves too seriously, but they’ve got the tunes and diversity in their sound to pull it off. 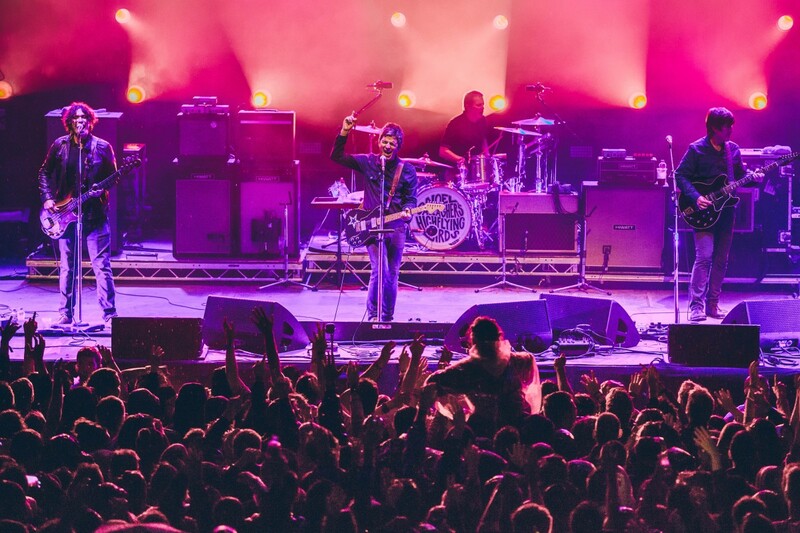 As we waited for the nights headliners, Liverpool legends Echo and the Bunnymen played to a tent so packed out that there were masses of people climbing beneath the canopy and cramming themselves into any gap available to catch a glimpse. Ian Mcculloch and Co were on tremendous form, with the effortlessly cool frontman’s vocals sounding as good as ever despite the fact he has a cigarette in hand throughout. 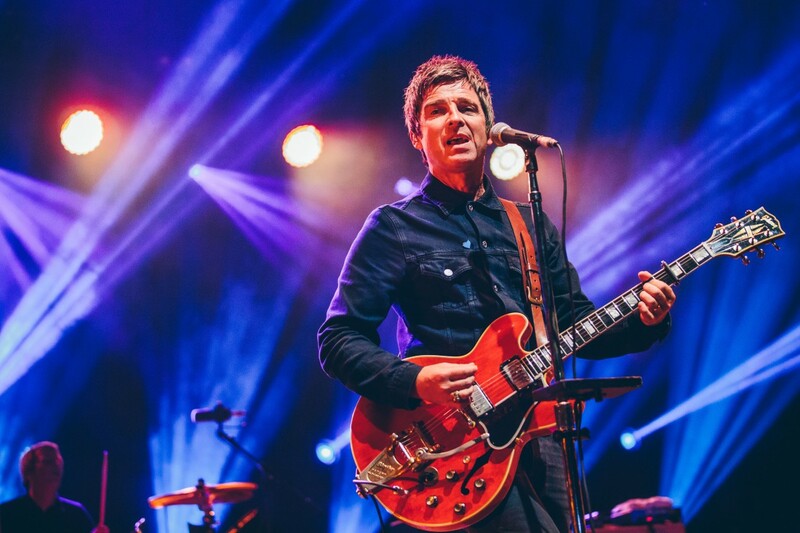 Is he Liverpool’s greatest ever rock star? It’s very possible. 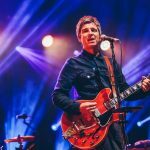 Bringing the weekend to a close, Noel Gallagher’s High Flying Birds were joined by Paul Weller to perform a set of anthems, Oasis classics and a couple of hits by the Jam, but little did the crowd know of the chaos ensuing over at the park and ride. The scenes in the flooded car park will no doubt tar the memories of many who attended this year’s festival. That’s without a doubt. It was absolutely grim. 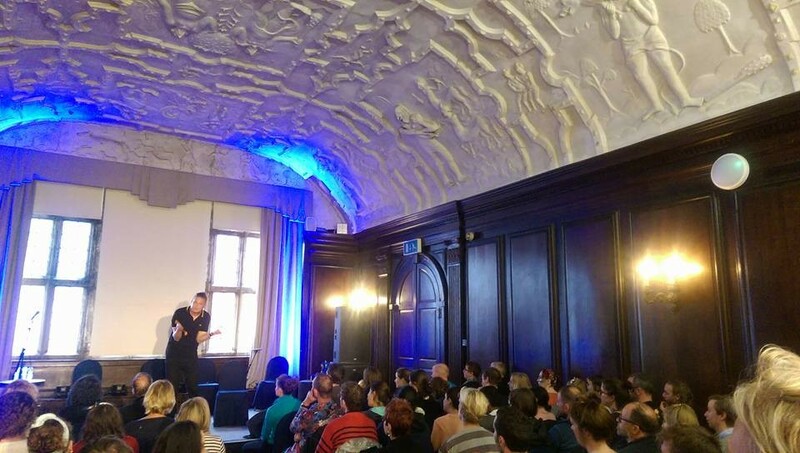 It could definitely have been dealt with better by the Festival No 6‘s organisers, and there is definitely some learning to do for future events. 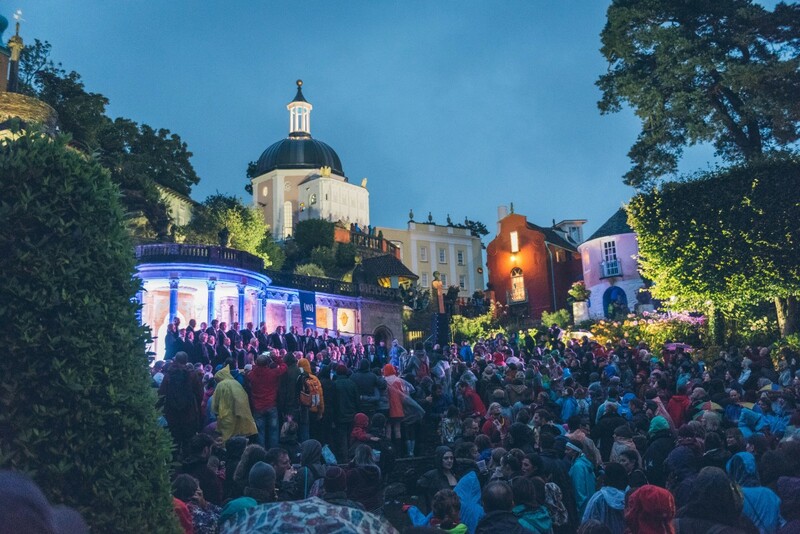 Yet despite all of this, the festival and Portmeirion shone. Even if the weather was enough to keep you away from the main arena, there is so much more to discover around the site, and far more shelter around the village and tents than at most festivals. The deluge and debacle will certainly put a few punters off returning next year, but it certainly won’t be the case with us. We might just pack a better coat. It’s almost impossible to pay tribute to an artist as iconic as David Bowie without it sounding like just a bad bunch of covers. Many have attempted it since his passing earlier this year, and many have fell into this trap (We’re looking at you Lady Gaga). Yet Bowie Reimagined got it absolutely perfect. With the four guest vocalists bringing something different to the mix, the set featured genuinely interesting and different re-workings of Bowie’s music. 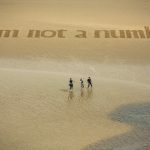 Charlotte Church performed heartfelt versions of Life on Mars and Starman provoking mass sing-alongs, but Nadine Shah’s renditions of Where Are We Now? and Lazarus were absolutely stunning. The latter was intricate, haunting and slowly built to a huge climax. An incredible vocal performance. 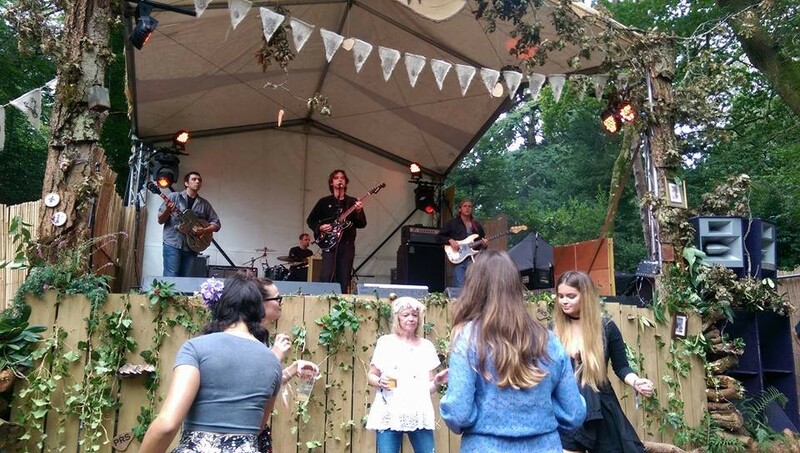 The good times were in full effect early doors on Saturday and with little sign of the forthcoming deluge the September summer sun glistened through the trees in the Portmeirion woodland creating the ideal kaleidoscopic environment for the twinkling melodic rock of London’s Younghusband. 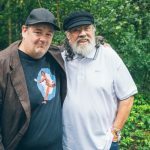 The first time we saw Yoda was sometime in the late 90s and he’s been a constant source of inspiration; a permanently reinventing force of electronic wonder, restlessly attempting to put a new spin on the art of turntabalism. 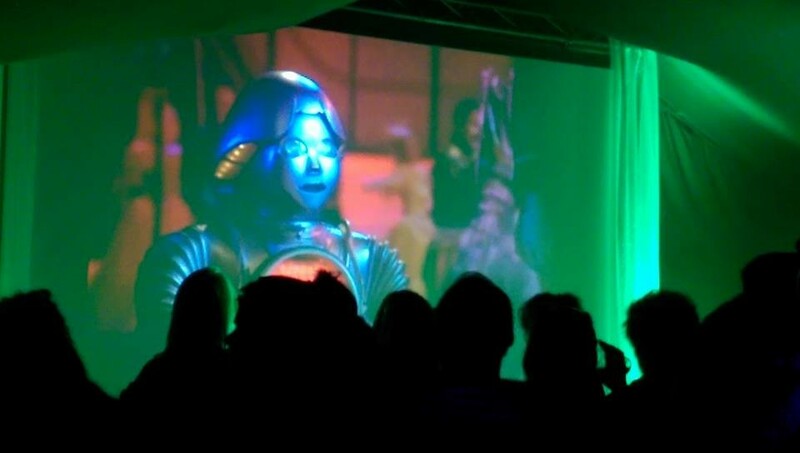 While many of his contemporaries have lapsed into late career troughs and cliche, Yoda seems to find new – and key above all else – fun ways of making people dance. At Festival No. 6 he this time teams up with Finders Keepers‘ main man Andy Votel in the Gatehouse to continue a cosmic theme which has run throughout the day (earlier there were unseen Prisoner episodes, library music film, an exceptional improvised animated film which used live guitar and the vocals of Jane Weaver to send us day-dreaming into the abyss) and Votel himself peddling Klekspoitation). The irony of all that rain on Saturday was that it forced the discerning festival goer to retreat from the main field (and let’s be honest, any festival goer that camps out at those stages at this festival is doing it wrong) and seek out the more intriguing and leftfield of offerings tucked away in the more unusual of spaces. 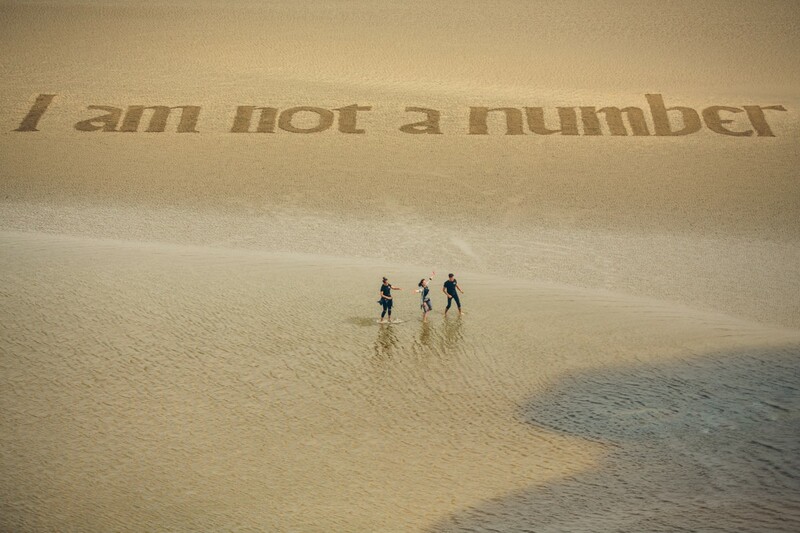 We will, however, concede that performance poetry is not usually top of our agenda. What unfolded, following our magnificent full English breakfast, in the Hercules Hall was nothing short of, well, Herculean. What I Learned From Johnny Bevan sees Luke Wright adopt the narrator of jaded middle class university student Nick who stumbles across the furiously politicised left-wing anarchist Johnny Bevan who’s mercurial spirit breathes life, soul and rock & roll into all he rages upon. 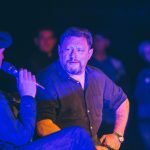 Earlier this year we were lucky to watch The Magnetic North perform Prospect Of Skelmersdale – their ode to the West Lancashire new town – in the Engine Rooms – Skem’s very own DIY music hub. To say it was a magical occasion would be an understatement. It felt like one of those evenings when the stars collided and everything was just right as musicians, setting, audience and atmosphere combined to create something intangible and otherworldly. 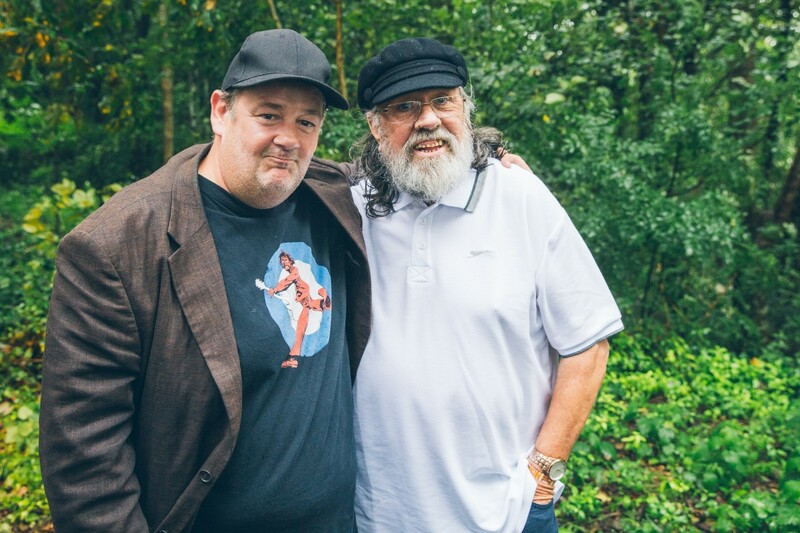 And they nearly repeat the trick in the woods of Portmeirion. Key to this of course are three unique performers and song-writers who each inhibit very different worlds; Simon Tong (ex-Verve and former inhabitant of Skem’s transcendental meditation community) lends a composed exquisite understated intricacy on guitar, Northern Ireland-born, London-based Hannah Peel delivers a sashaying sprightly pop via her keys and enchanting music box while Orcadian multi-instrumentalist Erland Cooper brings a wild rockism to proceedings darting across the stage while cheering on the crowd with his raised bass guitar. It seemed a genuine coup when No. 6 revealed Broken Social Scene on their line up and boy, they didn’t disappoint. 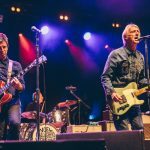 It’s been more than half a decade since they appeared on stage together and six years since their last album Forgiveness Rock Record so anticipation was notably high. 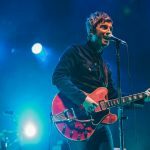 It was also notable that the Pavilion was only two thirds full (perhaps an indication of just how cult this band have subsequently become). 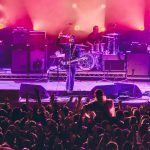 As the mini army of musicians lined the Grand Pavilion in almost near darkness, the faint strands of KC Accidental wormed its way through the moist air and from the moment those crashing guitars fused with the explosive bursts of tumbling brass the Toronto collective barely came up for air. It was revelatory. And very loud. Cause = Time melded massive walls of feedback with rip-roaring trumpets, Ibi Dreams of Pavement is a breeze-block of thunderous brass while Almost Crimes is almost lacerating in it’s full-frontal attack. 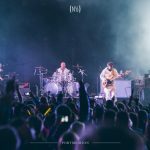 But it’s the band’s nous with blending such a vast ocean of time signatures, off-kilter rhythmical timings and a range of differing voices that makes the set so special as the senses are literally battered from front, back, left and right.